A brave and witty examination of how and why we try to control our bodies with food. Like most people, Kimberly Rae Miller does not have the perfect body, but that hasn’t stopped her from trying. And trying. And trying some more. Her first attempt to use food to change her body came at age four, when she learned that the Inuit ate fat to stay warm in the winter. If this diet worked in the Arctic, she reasoned, why not in Long Island? Postcollege, after a brief stint as a diet-pill model, she became a health-and-fitness writer and editor working on celebrities’ bestselling bios—sugarcoating the trials and tribulations celebs endure to stay thin. But what is the ideal body? Knowing she’s far from alone in this struggle, Kim sets out to find the objective definition of this seemingly unattainable level of perfection. While on a fascinating and hilarious journey through time that takes her from obese Paleolithic cavewomen, to the bland menus that Drs. Graham and Kellogg prescribed to promote good morals in addition to good health, to the binge-drinking-prone regimen that caused William the Conqueror’s body to explode at his own funeral, Kim ends up discovering a lot about her relationship with her own body. Warm, funny, and brutally honest, Beautiful Bodies is a blend of memoir and social history that will speak to anyone who’s ever been caught in a power struggle with his or her own body…in other words, just about everyone. Beautiful Bodies is not just a story about body image, but it is a fact filled memoir that is backed up with solid research about dieting and the science of weight loss. I enjoyed that the research is not forced at the reader like a high school health class. Instead, it is beautifully incorporated into the story of Kimberly Rae Miller's life. I went into this book with high hopes and I wasn't let down. I loved how Miller was so open and honest about her childhood and about how her body image began to change at such a young age. Her story is not so different from others and I found it to be comforting and enlightening. I hope that others will read this novel and find some peace about their body image and begin to love the way they see themselves. 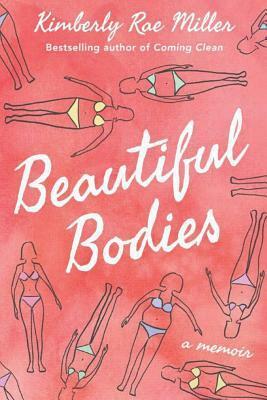 Beautiful Bodies is an insightful and brave memoir about body image in which Miller discusses her struggles with having the perfect body. I would highly recommend this novel to all readers. It is a wonderful story filled with real life experiences and scientific research. Thank you so much to the author and Little A publishing for sending this book my way.